Replacing any roof can be stressful and full of unforeseen challenges. 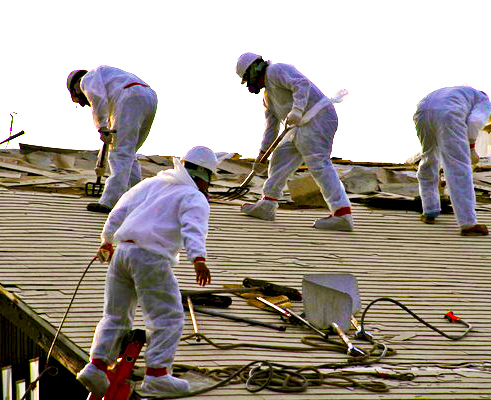 However, when you have an asbestos roof those challenges can be exceptionally difficult. Allow our OSHA trained experts to navigate the labyrinth of environmental regulations and make the transition seamless. Give us a call or fill out our contact form and allow one of our experienced project managers to assist you with every step of your asbestos replacement claim.